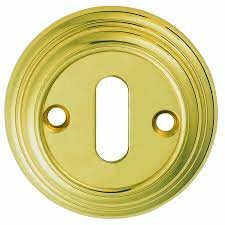 Delamain escutcheon to match the Delamain door knob range. Size 55mm diameter. Available in Polished Brass, Polished Chrome, Satin Chrome, Satin Nickel & Florentine Bronze.